Crystal Dunn has become the second U.S. women's national team star to leave NWSL for Europe, signing with Chelsea's women's team. Whereas Alex Morgan's deal with Lyon is a six-month signing (with an option to extend) that presumes she will return to her NWSL team, the Orlando Pride, Dunn's is a permanent signing. Chelsea has announced Dunn inked a deal through 2018. 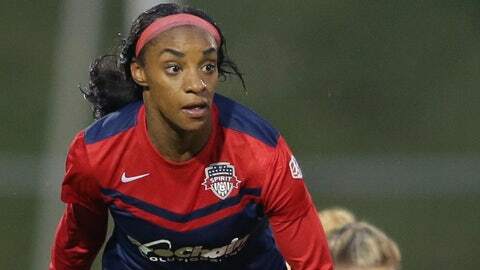 Dunn has emerged as one of the USA's top scoring options and she was the NWSL's MVP and Golden Boot winner in 2015. She helped guide the Spirit to the cusp of the NWSL title in 2016, with the team falling to the Western New York Flash in penalty kicks. She scored twice in the title game.